In Which We Welcome MAGGIE STIEFVATER. Yes. REALLY. Way back in April 2010, I wrote my first ever review. It was of a book called Shiver, by a writer who was entirely new to me. 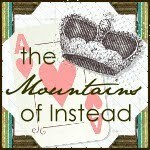 Since then, I've written many reviews and The Mountains of Instead is still, somewhat amazingly to me, up and running. 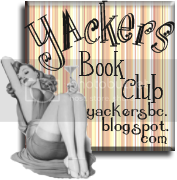 I've read and reviewed many, many stories including all those written by the author of that very first book, an author whose work has become better and better and better with each new title. From wolves to carnivorous horses, handsome and mysterious music teachers to baby ravens, she's an author who has the ability to tell stories that are both beautiful, eerie and utterly all consuming. It is with great delight, therefore, that I welcome Maggie Stiefvater to The Mountains of Instead. Today she's going to talk about atmosphere, something that her stories are gorgeously heavy with - not least her latest, The Dream Thieves (review here). I’ve written a lot of blog posts in the past about how mood is pretty much the most important aspect of writing for me (http://maggiestiefvater.com/blog/dissecting-pages-for-mood/)(http://maggiestiefvater.com/blog/more-wind-less-snow-revising-for-mood/). It is the secretive thing that moves around a reader’s thoughts. It’s the thing that sneaks under my skin as a reader and infects me. It’s what I remember the most after I've closed a book. I don’t know if I’ve ever written about how I’m a dirty mood-thief, though. Because I’m very rarely creating an atmosphere from scratch. Instead, I prowl through life with my storytelling eyes on, ferreting away details for later recollection in a novel. Ultimately, I’m painting a portrait of a memory instead of making something up from nothing. And this is how I wrote Ronan’s strange ability in The Dream Thieves, actually. Because [SPOILER!] we learn at the end of The Raven Boys that he can pull objects out of his dreams. However he dreams an object is how it appears in real life. So if he dreams a toaster without a cord, it operates without a cord in real life. If he wants to recreate something more accurately, he must dream it more accurately. He was struck by the details of the moment. This was something he needed to remember, when he dreamt. This feeling right here: heart thudding, pollen sticky on his fingertips, July pricking sweat at his breastbone, the smell of gasoline and someone else’s charcoal grill. Every blade of grass was picked out in sharp detail. If Ronan could dream like this moment felt, he could take anything out. I’m looking at that, and there’s nothing different about that from how I write. All of us writers are dream thieves when we’re doing our job. The better we steal the moment, the better we will recreate it later on the page. 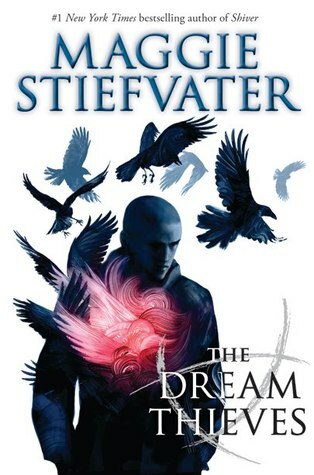 There is one scene in The Dream Thieves, however, that is not stolen from pieces of real life. It is, in fact, stolen from a dream. Ronan’s family home is called the Barns, and it is an idyllic, mysterious place both beautiful and magical. I used to dream about the Barns all the time. I’d return again and again to have adventures or just to idly think in a dream. It was so perfect for Ronan, however, that I knew I had to give it to the Lynch family. I worked twice as hard on every scene set there. I felt even more intent than usual on accurately recreating the mood of the place. I wanted readers to have the exact same feeling I did when I was dreaming of the Barns. The only thing is . . . there is this wisdom about people who have recurring nightmares: if you write a bad dream down, you’ll stop having it. It turns out that the same thing goes for any dream. Once I put the Barns into a novel, I stopped going there while I slept. I have literally stolen it from my dreams and given it to readers. I very much hope you enjoy it as much as I did. ...which you absolutely will! Thank you to Maggie and Scholastic for allowing the Mountains of Instead the opportunity to host one of our favourite authors. The rest of you, if you haven't already done so then go and pick up a copy of The Dream Thieves (or any of Maggie's books) and prepare yourself for a unique and memorable experience! Courtesy of Maggie Stiefvater and Scholastic Inc. in conjunction with the Maggie Stiefvater Blog Contest. © Maggie Stiefvater 2013.